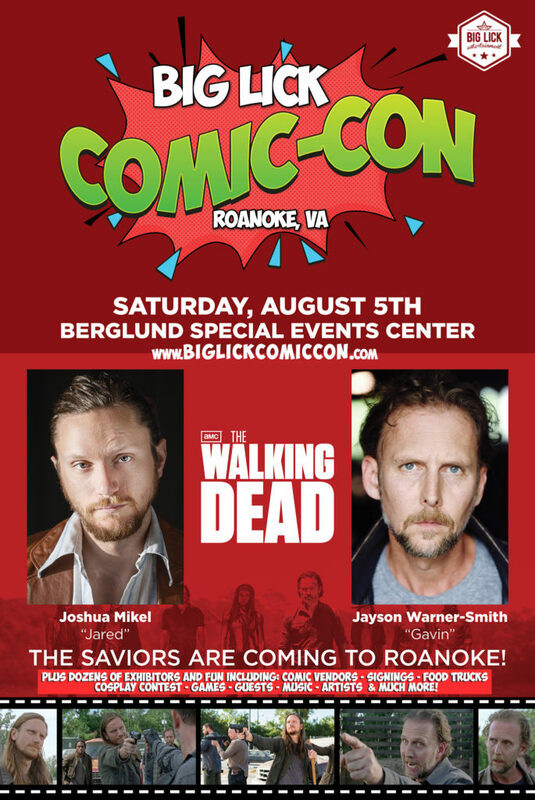 We are so excited to announce special guests of our Big Lick Comic Con 2017 include “Saviors” from the AMC’s The Walking Dead, “Jared” Joshua Mikel and “Gavin” Jayson Warner Smith! They will be available for photos and autographs (to be sold at their discretion). We are so excited! ← The Big Lick Comic Con – coming August 5th 2017!